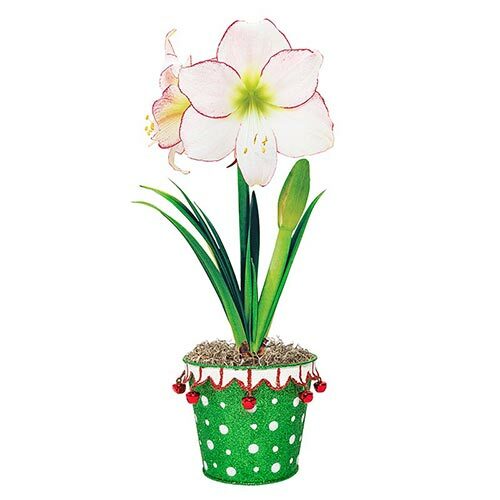 Perfectly outlined Picotee Amaryllis makes a fun family gift. 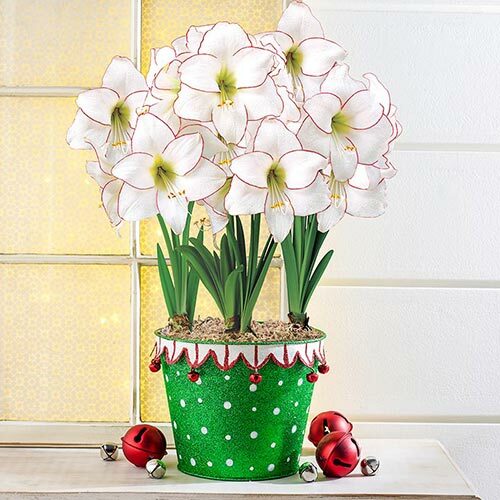 A jovial jester planter in two sizes holds our most popular specialty amaryllis. Jumbo bulbs start to sprout and grow immediately upon arrival. Then once in full bloom, a glowing green eye complements the delicate red outline around each crisp white petal. A lighthearted gift for your hairdresser or letter carrier, each polka-dotted pot is covered in glitter and wrapped with a jingle-bell collar.EXCLUSIVE.